Hi! We’re ClickThrough Marketing. Welcome to our website. Please sign our guestbook before you go. Remember those days? Now they seem as anachronistic as flares and footballers with perms. But really, it wasn’t that long ago since the web was in its infancy. 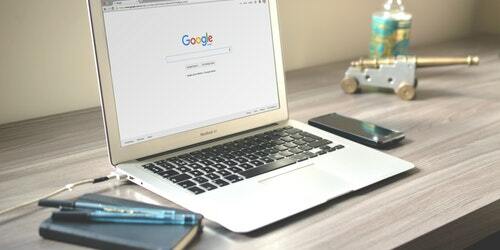 The Internet has matured at an astonishing rate – and as brands have embraced eCommerce and competition has increased, developments in technology and design have only gotten faster. 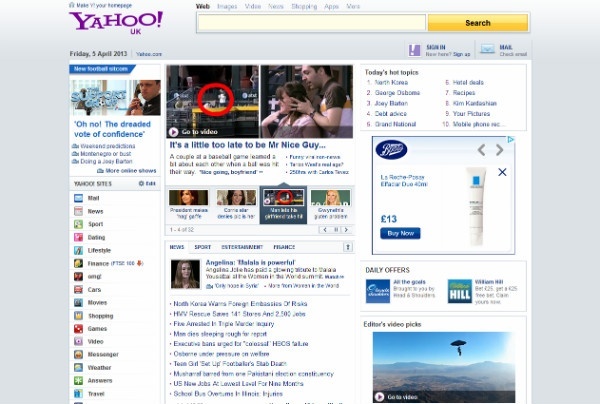 I’m part of the generation that got introduced to the Internet in its teens – and it doesn’t seem too far-fetched to imagine that one day, when we’re older, we’ll be eating big handfuls of holographic toffees, and reminiscing of the days when people couldn’t check their bloomin’ news feed because it didn’t chuffin’ exist. 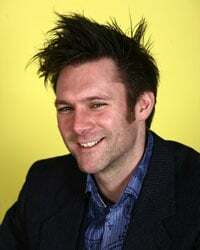 Even in the early noughties, when the Internet was pretty firmly established, many big companies were struggling to get to grips with the way the web worked. Actually, that’s not entirely fair. 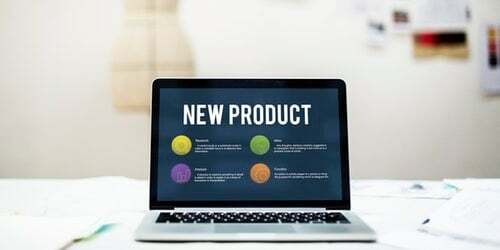 As the web has entered adulthood, developers and web users have had to get to grips with an entirely new way of delivering content and services. They’ve had to experiment, get things wrong, get things right, and establish a brand new set of design and content conventions. So whilst in our eyes, sites from ten-or-so years ago might look… well… bad, the guys who designed them were, essentially, our forefathers. 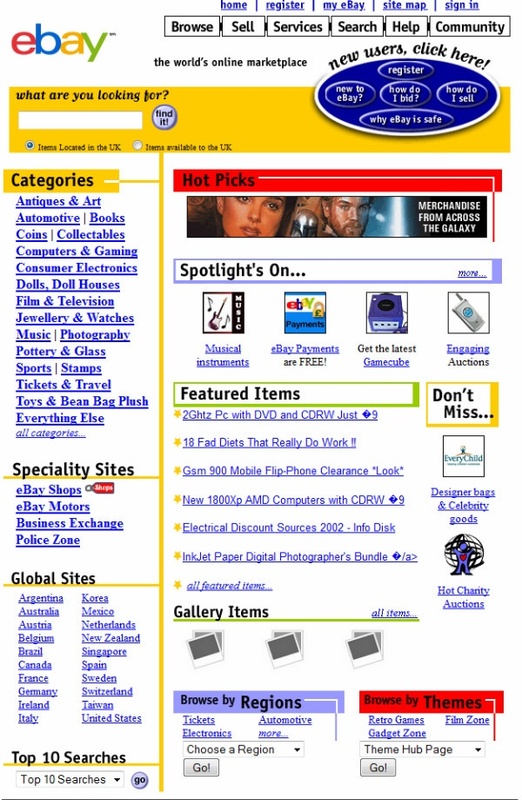 They laid the groundwork for us to build the Web 2.0 world we surf in now. Don’t take my word for it. Jump into our time machine (read: Wayback Machine), and take a look at some big brands, the way they used to look. 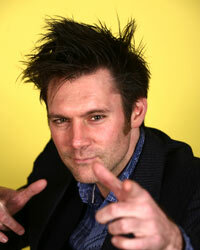 Your guide for this adventure will be Alan Rowe, ClickThrough’s head of web design and development. Bring popcorn. “Quite frankly, Amazon used to be a mess. It’s all over the place – there’s too much text, too many links and I don’t know where to look. “Now, there’s still a lot going on, but they’ve broken things up so the barrage of information is much easier to make sense of. There’s much better use of whitespace and, most importantly, they use large images as signposts. “Looking at the old sites from John Lewis and Amazon, John Lewis’s was much more mainstream, and more moderate. It was stylish for its time. 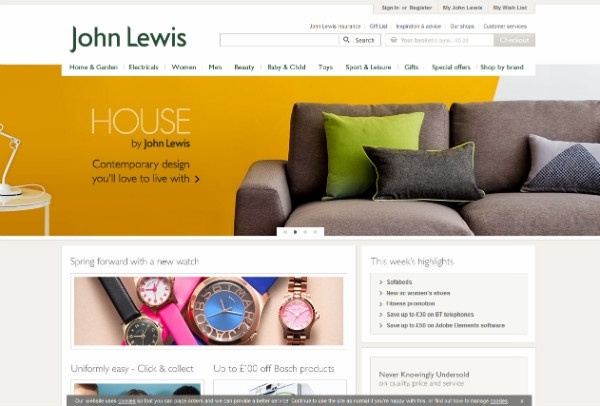 “From a pure design perspective, John Lewis’s old site could be considered ‘better’. 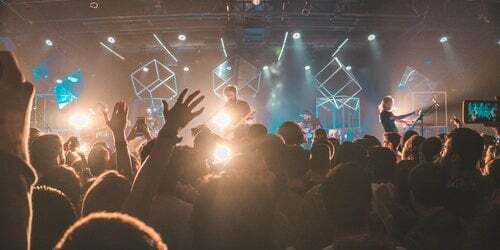 However, both brands had, in a way, achieved what they set out to do – they both represented their brand values. “So John Lewis’s site was sleek and refined, whilst Amazon’s was a hubbub of information, just like a busy marketplace – which is exactly what Amazon is. 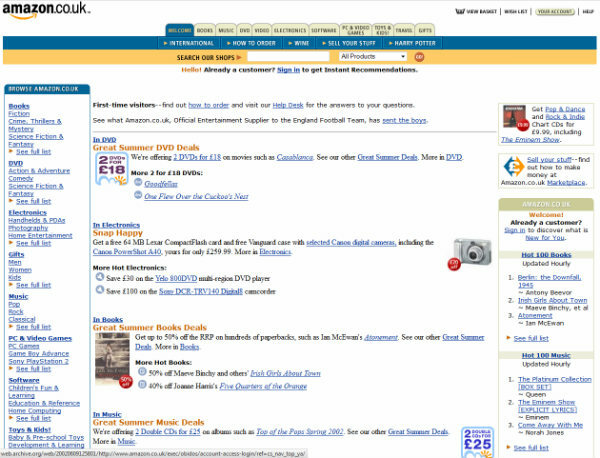 “eBay’s old site looks a lot like Amazon’s. Lots of links, lots of text, and tiny images. It uses space much more effectively now. 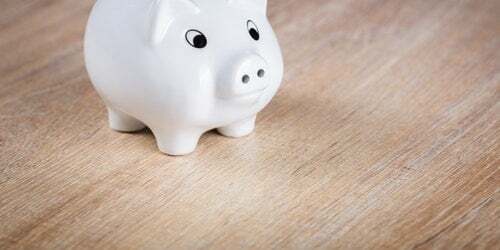 “I guess part of the reason for this is that eBay is such an established brand that people don’t spend a lot of time on the homepage, which relaxes the need for them to be quite so salesy. 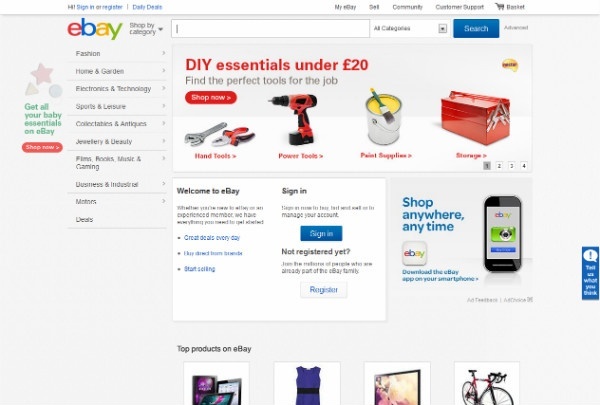 eBay and Amazon are now like miniature search engines – like Google, but for stuff. That’s the mark of their success, really." 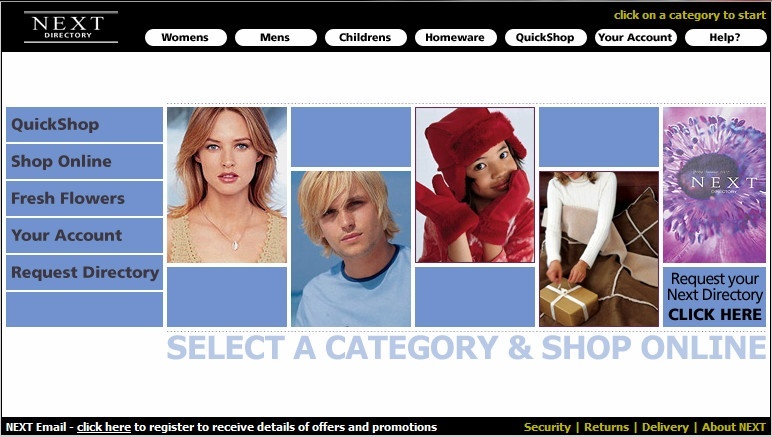 “Considering the size of its brand, Next’s old site seems quite amateurish, even for 2002. Nowadays, it’s much friendlier and more accessible, and scores points for the slightly-cheesy-but-inviting use of images. “The business model has clearly changed. 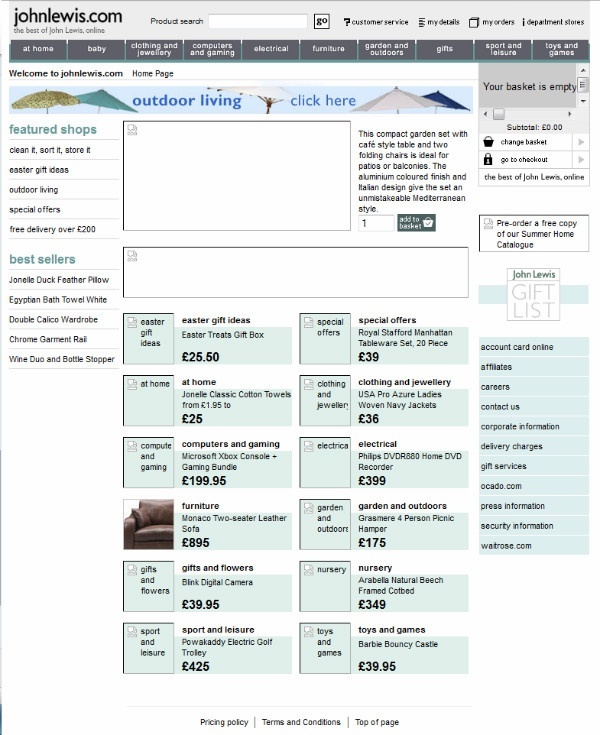 Catalogue sales seem to have been very important a decade ago, with two links from the homepage to request a directory, and ‘Shop Online’ being offered as a choice, rather than a given. 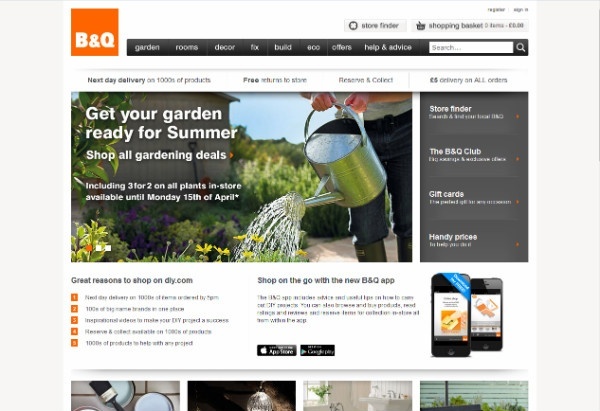 “Old-style B&Q is link city – quite antiquated. Today, it adheres to many widely-adopted stylistic standards, designed to improve aesthetic appeal and overall user experience. 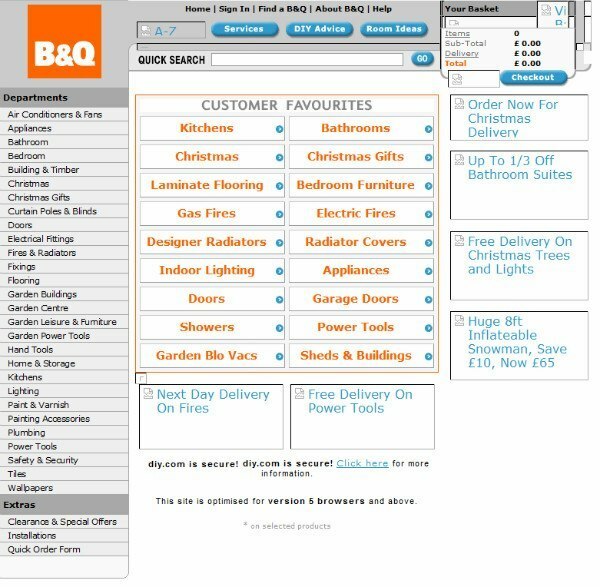 “There’s a logo in the top left; there’s a navigation bar running horizontally across the page; there’s a huge ‘hero’ marketing area; there are large buttons which ‘light up’ when you move your cursor over them; there’s a search bar and a shopping basket link on the top right. 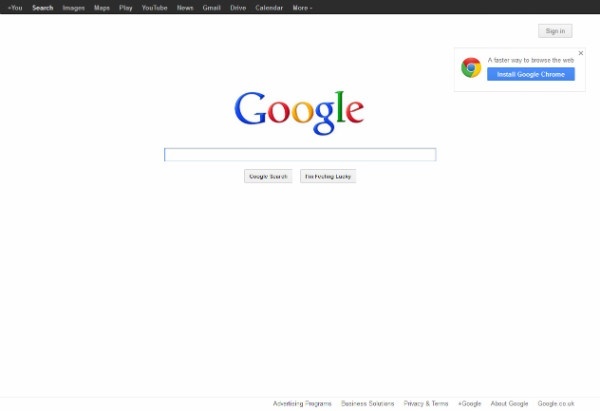 “Google, unlike Yahoo!, got everything right from the start. 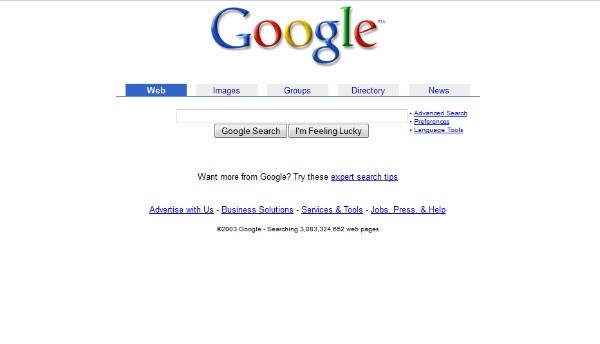 “Look past the dodgy logo and weird colour scheme, and Google really hasn’t changed all that much over the last 15 years. “It understood what it wanted its customers to do and provided nothing else. “I’ve been involved in web design and development for nigh-on 14 years now, and looking back at these screenshots has really brought home how much things have changed. 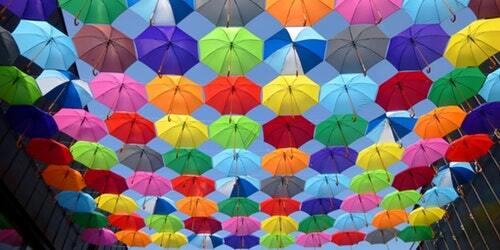 “The most clear paradigm shift, in terms of web design, has been the birth of broadband. 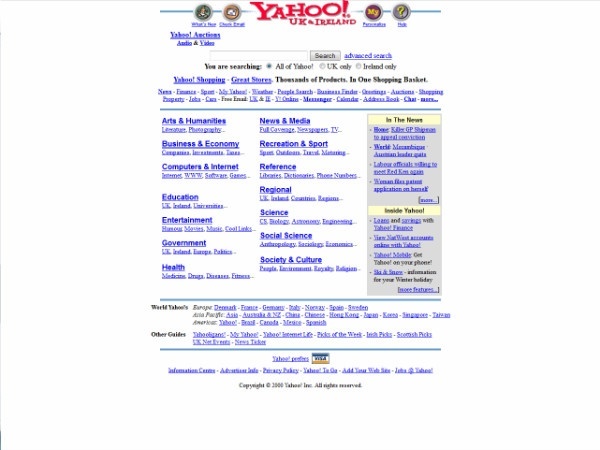 “Web designers of the past had to make do with masses of text and fairly boring pages because dial-up technology wouldn’t allow for much else. “But now designers are building sites for broadband connections, so we get high-quality, large images, videos, and other bells and whistles that make for better user experiences. 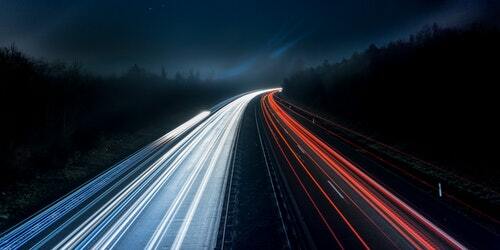 “Back in the day, you could use Flash to approximate the sort of online experiences we’re used to now – but Flash has never been SEO-friendly. “The Internet is more mature as a technology, and as a societal medium. Developers and the buying community are much more educated as to what is possible due to fierce competition online. “It’s interesting that almost none of the brands we’ve looked at have adopted responsive web design – meaning sites that adapt to the size of the screen they’re displayed on. 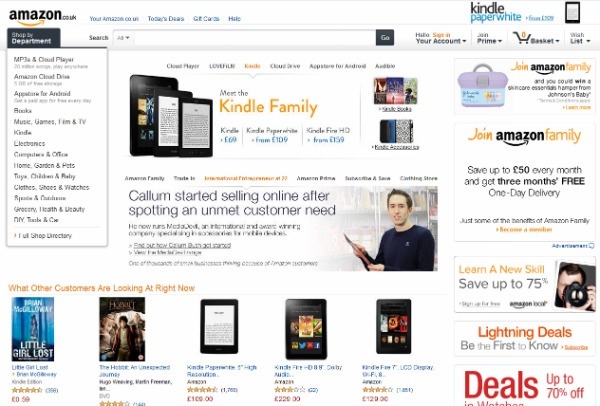 “The only exception is Amazon – and that uses minimal responsive elements. Instead, they have opted for mobile/tablet specific sites.